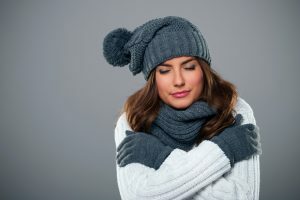 Heating Installation Options to Consider This Year | Comfy Heating Air Conditioning Inc. Temperatures finally seem to be on a cooling trend, signaling winter isn’t too far away now. We’re assuming that since you’ve found this blog post, you either do not have a whole-house heating system in your home, or yours is at the point that no amount of repair is going to bring it back to life. We will also assume that you don’t want to just rush out and buy the first heater you can find. This typically ends up being a mistake, since you need that heater to be properly sized and matched to your specific home and needs. Furnaces remain the most popular heating system installed in homes throughout the country, and for good reason. Most homes are already set up to install a heating system of this kind, whether it’s a gas-powered system or an electric one. So, it’s not difficult to add one to a home. Furnaces are cost-effective and work very efficiently (especially if you get one with an AFUE rating of 90% or above). One downside to the furnace is that if you only have access to electricity and no natural gas lines in the home, it can be a bit expensive to run in comparison to other electric heater types. Electric furnaces do use a lot of energy to run, so you’ll want to use yours wisely. On the other hand, if you are having a furnace and its ductwork installed for the very first time, you could consider zone control heating. Zone control systems involve installing dampers in your ductwork so that if you want heat (or cooling from a central air conditioner) to go to one area or room of your home and not another, you have this ability. Heat pump systems utilize electricity for their operation, but they use far less than an electric furnace. It’s a heating and cooling system in one, so the setup looks very similar to a central air conditioning system. An outdoor unit exhausts heat in the summer, after refrigerant has absorbed heat from the inside of your home. During the winter, it absorbs heat from the outdoors, even when it’s very cold out, and transfers it indoors. Since a heat pump doesn’t actually generate heat but rather transfers it, it doesn’t use as much energy as your standard electric heating system. Why not have a heating system and air conditioning system all in one? This takes the heat pump concept a step further by eliminating the ductwork. Rather, indoor air handlers are mounted high up on your walls, and each of these is connected to the outdoor unit as refrigerant cycles between them. No major home construction is needed to install these indoor units (just a small hole in the wall of each of the rooms where they’re installed) and it’s a highly efficient system. You also get a thermostat setting for each room, which is the appeal of these systems as it means you get custom comfort for each person and room in your household. Contact Comfy Heating & Air Conditioning, Inc. today for all things HVAC in Hayward, CA. We’ll help you make an educated decision about which heater is best for you!